Lorraine Motel & National Civil Rights Museum, Memphis. 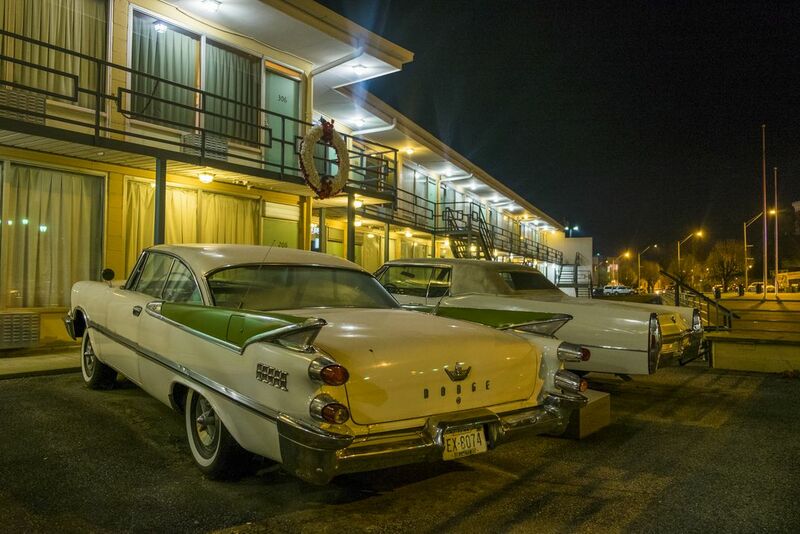 The balcony of the Lorraine Motel in Memphis was the site where Martin Luther King, Jr. was shot in 1968. The hotel was preserved as it looked at the time and later became a part of the National Civil Rights Museum. The wreath marks the balcony where he was speaking at the time he was shot.